With the recent release of upgraded iPods along with the new iPod Touch, chances are those in the Microsoft camp are scratching their heads, wondering just how to counter Apple’s seemingly unstoppable portable media player machine. Well I seriously doubt that they have the answer just yet, but rumors are floating about stating that Microsoft is set to announce a brand new Zune later today, and this time it will ditch the hard drive in favor of more stable (albeit with less capacity) flash memory. The same rumors also have it that the head honcho himself, Bill Gates, will be involved in the launch which goes to say a lot about the product. How does this new flash-based Zune stack up? Read on after the jump to find out. Bear in mind that what you see here are just hearsay, so do take it with a pinch of salt if all these prophecies prove to be false later. This new Zune will share the same video playback and WiFi connectivity functions as its predecessor, and will probably measure just 3″ tall and 1.25″ wide – making it rather close to the new iPod nano where size is concerned. The internal hard drive will be no more, replaced by flash memory with a choice of 4GB or 8GB of storage. As for the hard drive based Zune, it will still be around, but Microsoft has been generous enough to bump up the total capacity to more than double – as it is, the current Zune can hold 30GB of media but the new, refreshed version will boast 80GB of space. 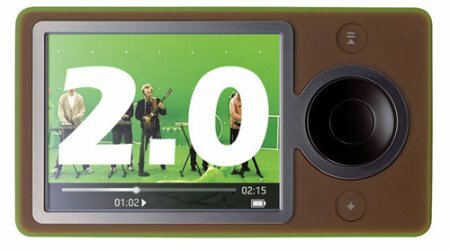 Other specifications like the 3-inch QVGA LCD screen (320 x 240), Wi-Fi ‘Zune-to-Zune’ connectivity, FM radio, and access to Zune Marketplace will remain. Do you think a revamp will cause Microsoft to end up with a bigger market share, or should they concentrate their efforts on Halo 4 instead of flogging a dead horse known as the Zune? I’ve also had iPods and used them all (save for the last gen, yet) and in sound and screen quality they couldn’t compare their sorry selves to the zune.